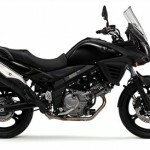 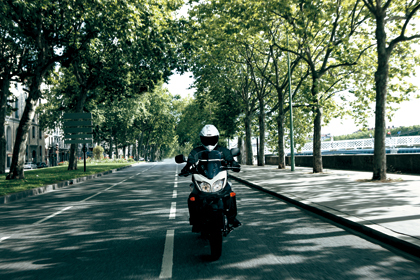 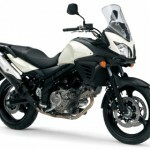 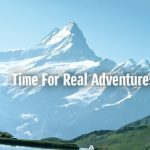 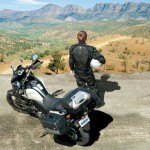 Official photographs and details of the updated 2012 Suzuki V-Strom have emerged as the Japanese manufacturer continues its prolonged teaser campaign to hype its “New Middle-Class Motorcycle”. 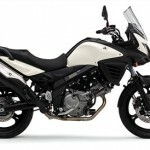 Indeed, the latest teaser is expected later today but images and specifications on the updated Wee-Strom have emerged from Suzuki’s global site. 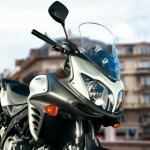 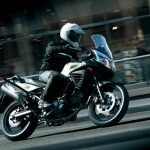 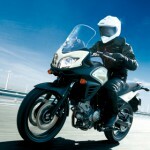 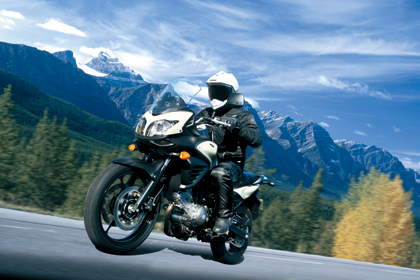 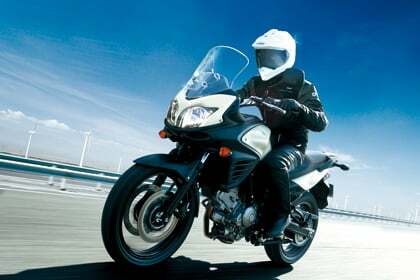 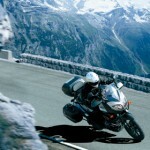 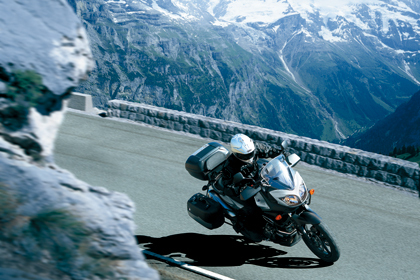 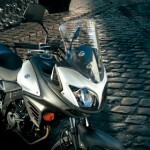 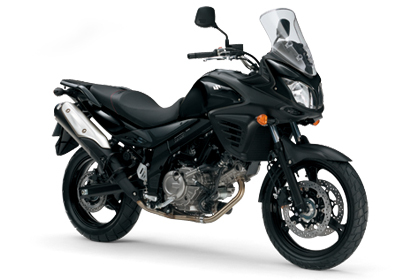 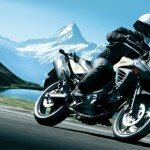 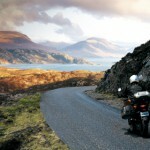 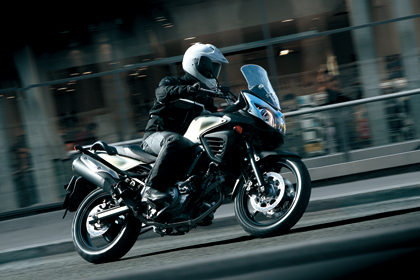 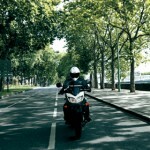 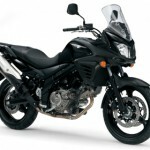 The 2012 Suzuki V-Strom 650 will again be powered by a SV650-derived 90-degree V-Twin engine with a displacement of 645cc. The compression ratio however is now 11.5:1 instead of the 2011 version’s 11.2:1 ratio. 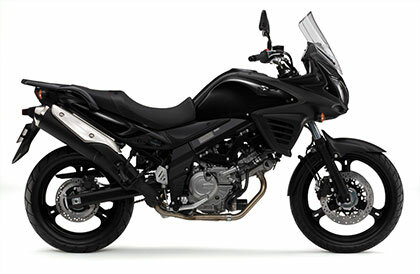 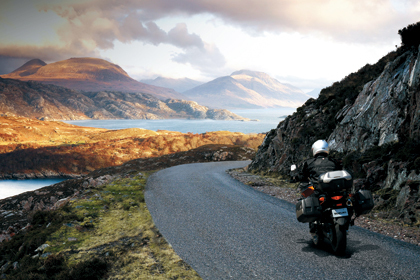 The radiator is new and more compact with a Suzuki-patented wind-directing air intake to improve cooling while the new side vents, in place of the old V-Strom’s side body panels, are designed to direct hot air away from the legs. 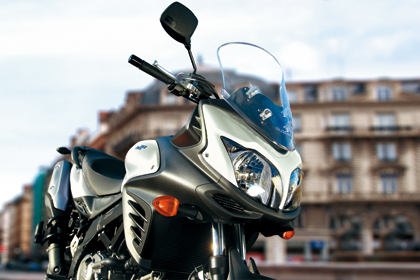 Those side vents also present the most noticeable visible difference for the new V-Strom. 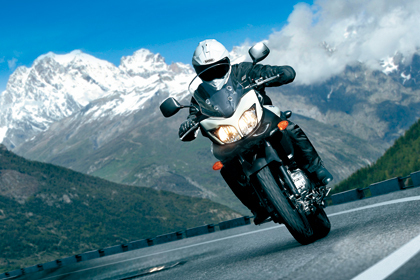 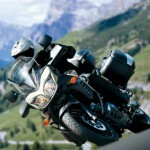 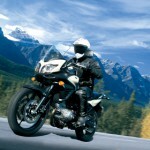 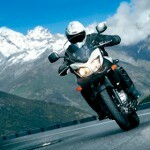 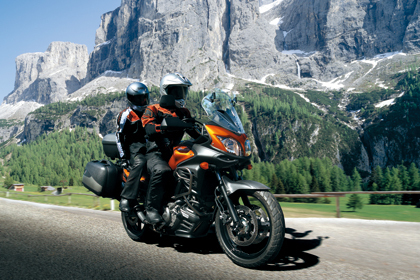 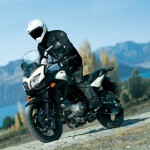 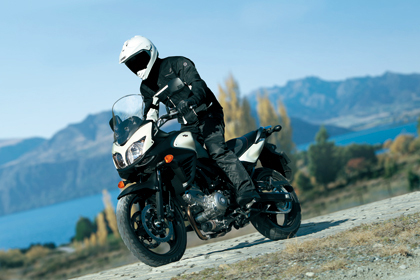 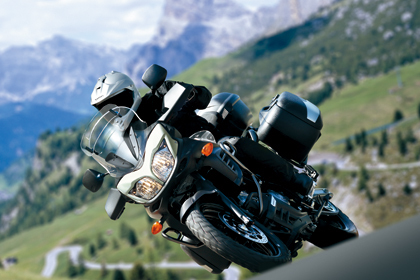 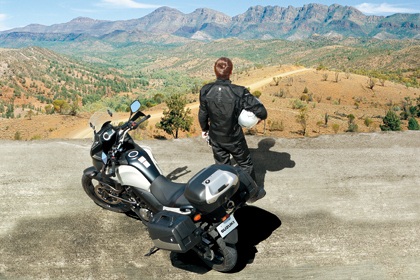 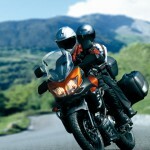 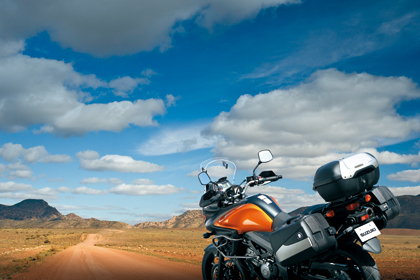 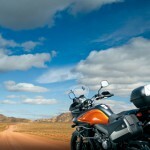 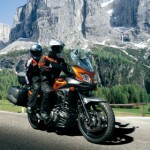 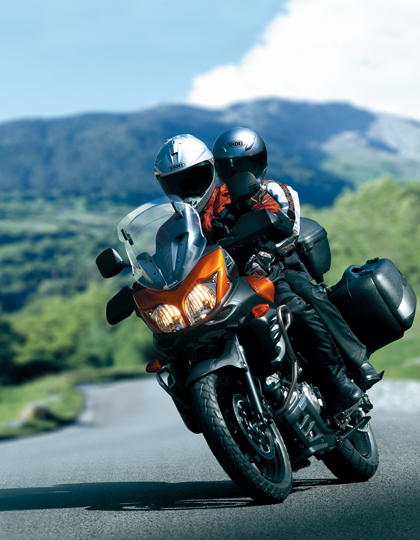 With a claimed curb weight of 472 pounds, the new 2012 V-Strom 650 is lighter than the 2011 version. 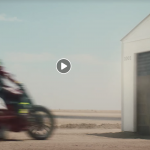 The seat is a bit higher at 32.9 inches (versus 32.3 inches) and the fuel tank is smaller, holding 5.3 gallons of fuel compared to 5.8 gallons on the old V-Strom. 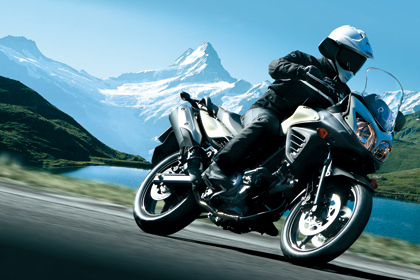 The suspension system appears similar to that on the old version, with a spring-preload adjustable 43mm fork and rebound adjustable link-type rear. 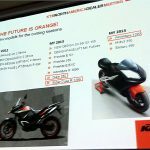 ABS will be standard issue on the V-Strom (Suzuki dropped the non-ABS version in 2011) with dual 310mm discs up front and a 260mm disc at the rear, similar to the 2011 version. 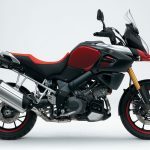 The instrument panel is new, with a brightness-adjustable LCD displaying the speedometer, odometer, dual trip meter, gear position, coolant and ambient temperature, fuel information and clock. 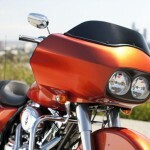 Other features include a three-way adjustable wind screen and 19-inch front and 17-inch rear wheels. 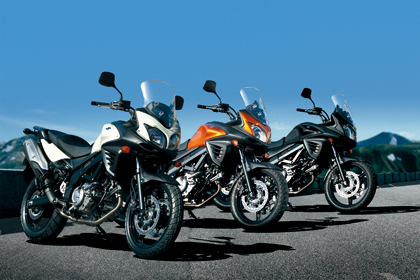 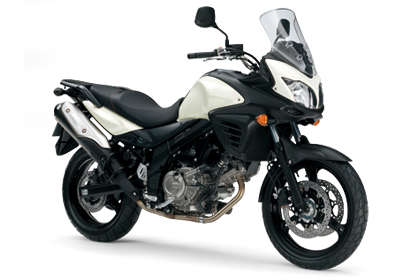 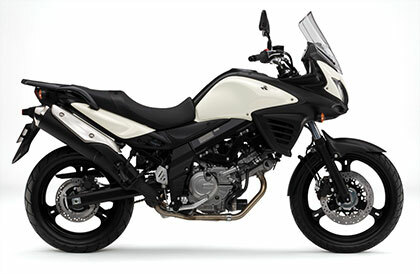 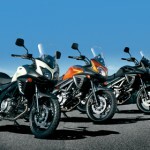 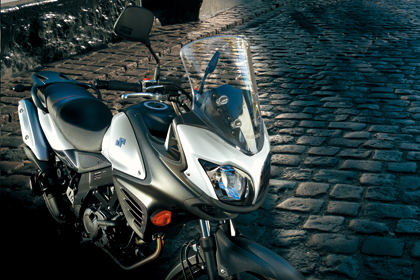 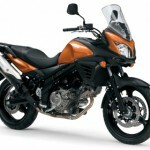 The 2012 Suzuki V-Strom 650 will be available in three colors: Pearl Mirage White, Glass Sparkle Black and Metallic Fox Orange.